Like an idea that with every layer of reflection grows, these constructs pull you further into the essence of nature’s design. With this series of dimensional works there is a layer upon layer of word, image, and texture. This reflects how ideas are sometimes formed into meaning. 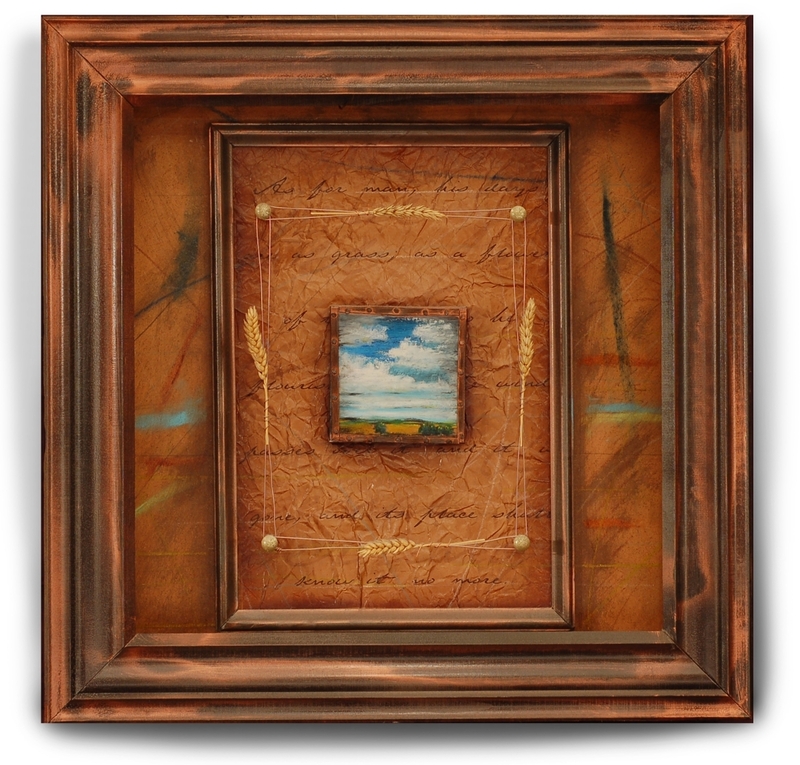 The canvas is placed on top of layers that are pulled pages from the Psalms. The painting becomes a reflection of the prose underneath, and the entire composition is layered on the inside of another frame. It becomes a shift in the paradigm of which thoughts are finished and what are still unresolved.